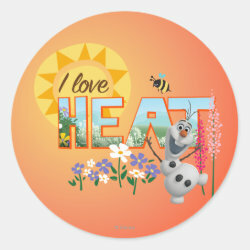 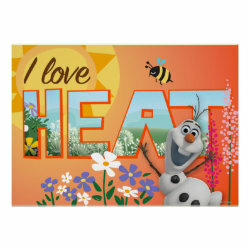 Olaf is unique among snowmen: he loves the heat. Should we tell him? 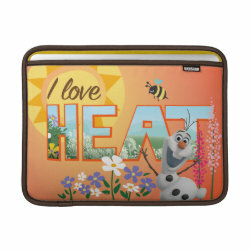 Naah, let him enjoy his warm thoughts! 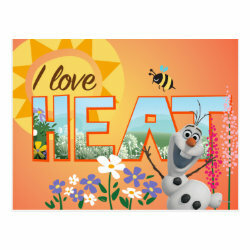 This is a cute montage-style More... design with a hot background. 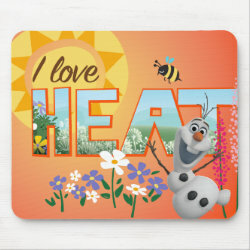 Olaf dances with flowers while a bee buzzes overhead and the sun shines down over everything. 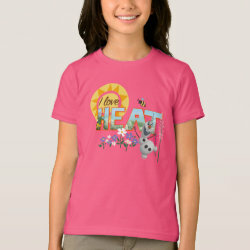 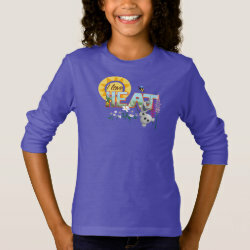 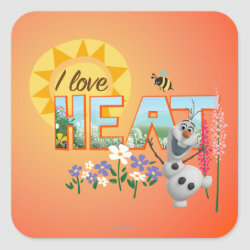 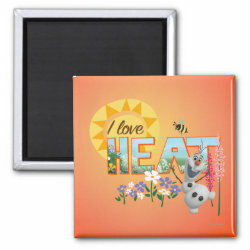 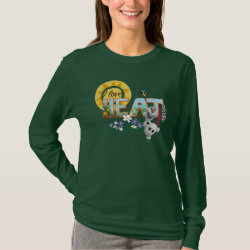 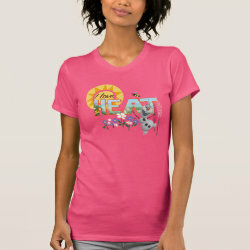 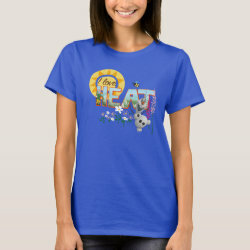 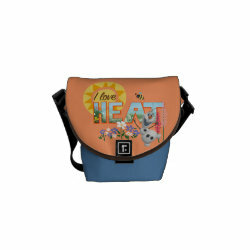 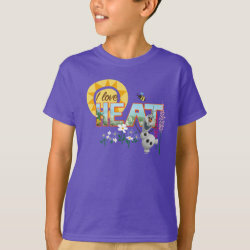 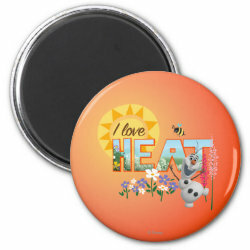 The slogan I LOVE HEAT captions the image; the word HEAT is written with letters made from a pretty summer flower meadow. 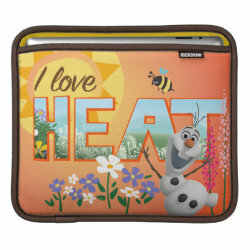 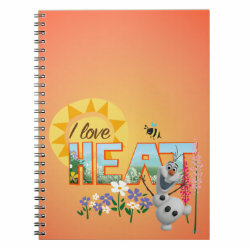 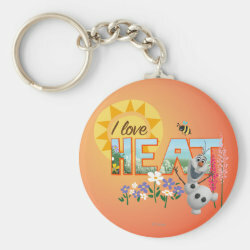 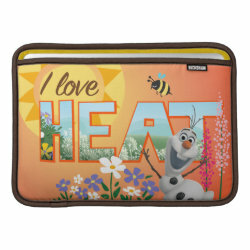 This is perfect for Olaf fans who also love hot summer days!